Modern medicine is a combination of many different disciplines such as genetics, anatomy, biochemistry, pathology, microbiology, immunology, nutrition, pharmacology, epidemiology and many others. These various disciplines are brought together and focus on human health, disease and treatment of disease. Allopathic dermatology is a specialized field of medicine and utilizes all the disciplines above. 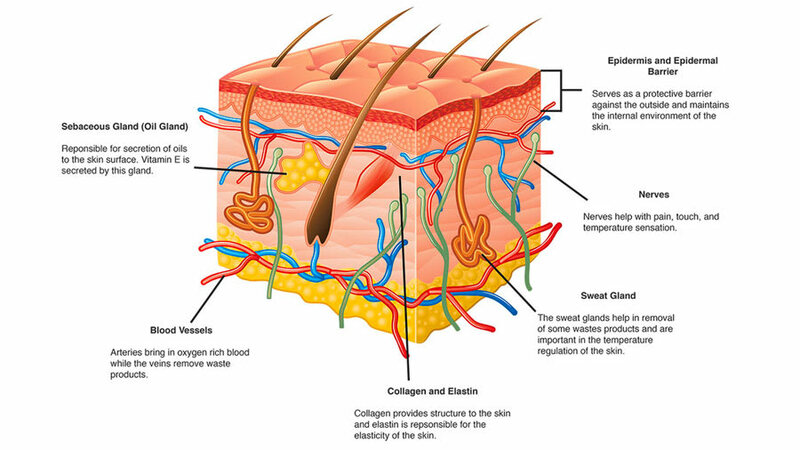 An overview of the skin is shown with the functions of the various parts of the skin. Modern allopathic dermatology plants itself in evidence-based medicine. This means that dermatologists try to the best of their ability to make decisions that are based on some proof. The proof is usually in the form of experiments (often referred to as studies or trials) that involve real people that have the condition of interest (such as acne, eczema etc.). This way of thinking about disease and treatment is rooted in the basic scientific method that requires tangible and objective proof. So for example if your doctor treats your skin infection (such as folliculitis) with antibiotics, it is because they based their decision on other similar patients that had this condition and improved with antibiotics. Additionally they can show you other cases in which the infection resolved when treated with antibiotics. Sounds like good proof? Yes, but allopathic dermatology does not stop there. Dermatologists typically ask for evidence from clinical studies, especially randomized clinical trials. These types of trials evaluate the results of the treatment when compared to other common treatments or a placebo (sugar pill for example). These trials randomly assign the two different treatments based on a coin flip. This random assignment helps to reduce (as much as possible) any bias in the study to accurately tell if a patient heals due to the treatment and not some other effect. In the previous example a randomized study may compare the antibiotics to a placebo (or different antibiotic) and if we find that the infection resolved faster in the antibiotics group we can conclude that antibiotics helps skin infection. This is the type of rigorous evaluation dermatologists expect to have for every treatment they prescribe or diagnostic test they order. Unfortunately that level of proof (i.e. randomized trials) is not always available but as additional research is conducted, more and more evidence becomes available. A common misconception that dermatologists face daily is that they only deal with acne, cosmetic treatments, and skin rashes. This is a very incomplete understanding of what dermatologists do. Dermatology covers not only the skin but also the hair, nails and mucus membranes (i.e. the wet part of your various orifices such as mouth, eyes and genitalia). Another striking and less known fact about dermatology is that it involves a huge amount of different medical diagnoses. Indeed the vast majority of the diagnoses dermatologists deal with on a daily basis are never taught in medical school! This makes dermatologists highly skilled doctors. Therefore, the dermatologist on first encounter will often ask you to completely undress. 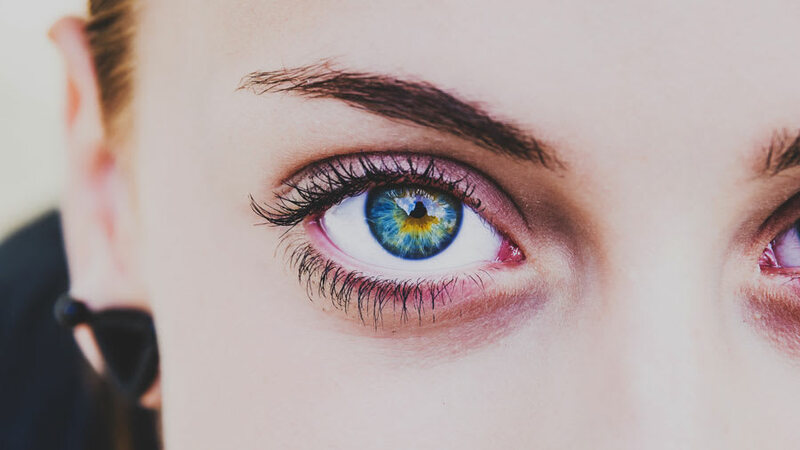 While this may be uncomfortable and time consuming, this is the single most important part of the dermatologist’s work and there is no other specialist – allopathic or alternative – that can provide you with this service. That is the reason you should insist on a full skin exam when you go to the dermatologist. This can often save lives and is how many skin cancers are found. Rashes can also be broken down to what is the actual basic lesion that makes up the whole rash (the so called primary lesion). This is very important because often all that is left from the rash are dark spots and by the time the patient comes to the dermatologist the rash looks completely different. This is very frustrating! Only knowledge of the primary lesion can help the dermatologist make a diagnosis. So for example eczema and psoriasis can both resolve with residual brown spots yet knowing what the rash looked like originally will lead to different treatment plans. Sometimes snapping a picture of your rash when it first appears can make a world of a difference for your dermatologist so take out your phone, snap an image and don’t forget to smile! Dermatologists always look at colors of the rash. Amazingly our skin is able to produce a wide spectrum of colors: red often means blood under the skin suggesting inflammation or bleeding. Brown is typically a result of a pigment molecule called melanin. We all come in different colors and that has to do with the amount of melanin and how it is distributed in our skin. However, sometimes brown is just broken down blood. The color blue in the skin can mean a collection of venous blood or deeper pigment. And the list goes on and on…purple, yellow, orange, white, black even green and pink are all colors that our skin can produce in health or disease. Probably the coolest part about dermatology is the case where the skin is a reflection of an internal disease. Sometimes acne occurs in the setting of a condition called polycystic ovary syndrome (PCOS). PCOS can result in difficulty becoming pregnant. Amazingly a dermatologist can make this diagnosis without a single blood test – simply by looking! Another example is itch. Often itch is a result of elevated toxin in the body due to liver or kidney disease.Rarely itch can be a sign of a type of cancer called non-Hodgkins lymphoma as well as other cancers  and that itch may be the only clue to making the diagnosis! There are many other associations, psoriasis and arthritis, lichen planus (itchy rash) and hepatitis,  and the list goes on and on. Have you ever had a doctor order and test, get a positive result and tell you he or she is not sure if you have the disease? Has any doctor ever told you that you may have one of five diseases? These scenarios occur every day in modern allopathic medicine and can be very frustrating. Why can’t a test just tell me if I have the disease? Why can’t the doctor just give me a “bottom line” diagnosis? The main reason for this is that modern medicine is practiced with a certain amount of uncertainty and ambiguity. The reason for that is that we simply do not know everything there is to know about the human body nor do we understand every aspect of disease. 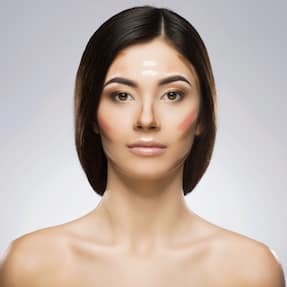 For example we don’t really fully understand what causes rosacea (a common skin condition that gives people red faces). Despite many attempts, no one has been able to prove that a single problem (e.g. a virus or an enzyme defect) leads directly to rosacea. This gets even more complicated when it comes to various medical tests. The reason is that most tests are only surrogates of the disease. And so even if you obtain a skin biopsy from a suspicious mole you may never know for sure if you are dealing with a tumor that is harmless or one that may turn to a nasty melanoma. That is because a skin biopsy only examines a small part of the entire lesion and even if all of the cells appear normal, you can’t pull all of them out and ask them: “are you a melanoma cell? Did you already send metastatic disease to the liver?” So how are you expected to trust your dermatologist? Once again, it comes down to you and your doctor getting cozy and comfortable with the modern doctor’s two best friends: uncertainty and ambiguity. Most of the time, most doctors, have a good idea about your diagnosis and a good guess of how you may respond to treatment. But because of all the reasons above, nothing is a hundred percent. It is very important to have an honest and open discussion with your doctor about how confident they are with the diagnosis and about the various advantages and risks of the treatment options. This type of approach will help you deal with the uncertainty and make seeing a doctor a more positive experience.